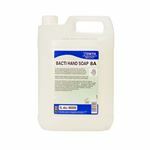 Bacti Hand Soap is a hand washing soap for hygienic hand washing. Coconut Wash is a highly effective general hand washing product, suitable for application at a wide range of areas, such as restaurants, offices and schools. 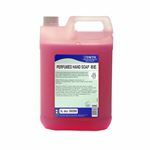 Perfumed Hand Soap is a highly effective general hand washing product, suitable for application at a wide range of areas, such as restaurants, offices and schools. Anti Bac Hand Soap is a moisturising antibacterial handwash for regular use. 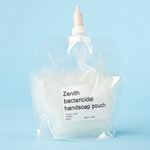 A mild sanitising hand washing product, specially formulated to be gentle on the skin.